Warrior football action from the team’s victory over H-K. File photo by Laura Matesky. 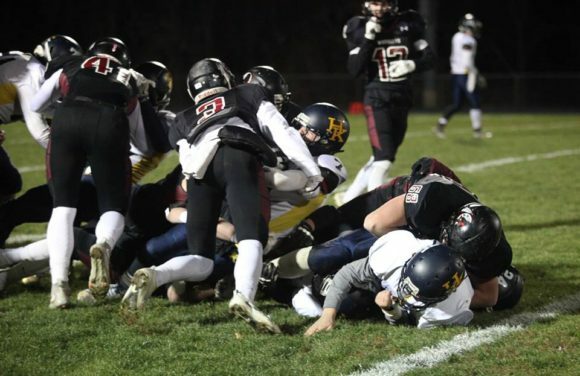 Tonight at 6:30 p.m. on their home field at Deep River, the top-seeded Valley/Old Lyme Warriors face Saint Joseph’s in the semi-finals of the CIAC Class M football championship.